Yesterday morning, along with the massive melt off of the snow (thank you Mother Nature for the 50 and 60 degree temperatures! 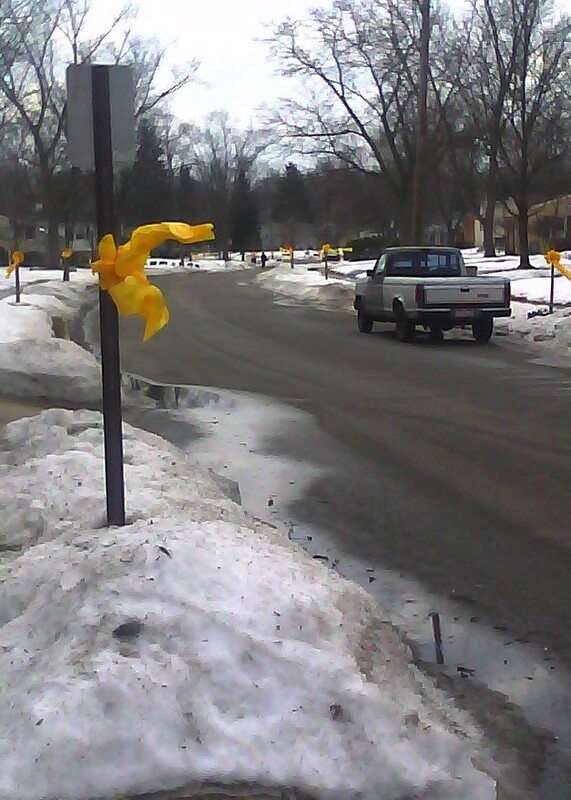 ), the folks of Drive West awoke to yellow ribbons streaming in the wind down the entire street. It was easy(and nice!) to see that a soldier was on his or her way home. 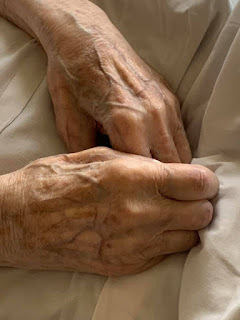 Later in the day, we learned that it wasn't just one soldier - it was two that lived on the street - and that one (a PFC) was coming home from Iraq for a two week leave this weekend. The second (a Cpt) would be arriving home at the end of his tour in Afghanistan in early March. The King then realized that the Captain that was coming home is the one that he and his classmates (along with his whole school) sent letters too at Thanksgiving time! The Yellow Ribbons will stay up through March - until the second hero returns to his base after visiting family here on the Drive.